Golfers in Japan will soon be able to get drinks, snacks, and other products delivered to them by drone while they're out on the course. Rakuten, a major Japanese shopping portal, will launch the drone delivery service in May at a course in Chiba, to the east of Tokyo. Golfers will be able to order from a menu of roughly 100 items through a dedicated Android app, and each drone delivery will be limited to 2kgs of goods. The service will be offered daily from 8:30 a.m. to 3 p.m. and suspended during bad weather. To operate the service, Rakuten has a dedicated drone depot where an operator will pack the goods and set the delivery location. 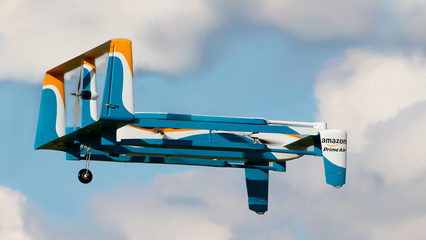 Once the drone has completed its delivery, it will autonomously return to the depot. 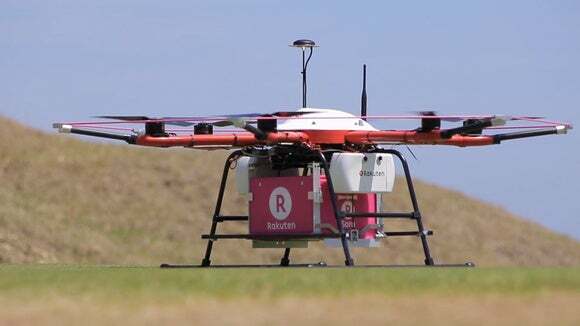 Rakuten is using a drone from Autonomous Control Systems Laboratory (ACSL), a Chiba University spin-off company that Rakuten bought a stake in March. The drone is a six-rotor device that has been modified to carry goods in a small box on its underbelly. The drone delivery service will launch on May 9 and will be offered for a month. Rakuten says its future will be based on feedback received from golfers and, if it proves successful, the service could be expanded to other courses in Japan. Drone delivery is being pursued by other companies because it's seen as a cheap and efficient way of delivering small goods to consumers. It first came to prominence when Amazon announced plans for such a service, but has since been tested by other companies including Google, DHL, and Australia Post. But there are several obstacles to overcome before trial services become commercial operations. The largest of those is the myriad of safety concerns that need to be considered when flying and landing a drone autonomously. The drone needs to be able to avoid obstacles like trees and power lines and ensure that it doesn't endanger people or animals when it lands and takes off. 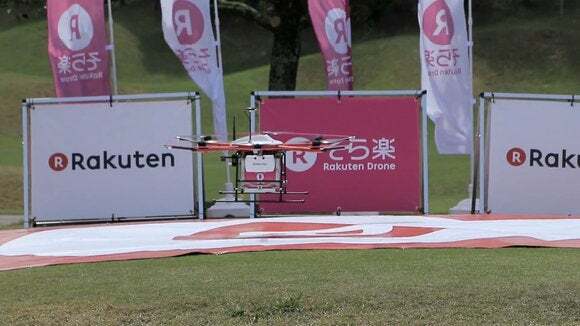 Rakuten has set up several brightly marked drone delivery points on the Chiba golf course, and the relatively small delivery area means obstacles like trees can be mapped out and easily avoided. A Rakuten delivery drone to be used on a Japanese golf course is seen in a promotional video from the company. In one of its most recent promotional videos, Amazon shows a customer laying out an Amazon logo on their lawn and the drone landing on it. It appears the company is considering asking users to specify the exact delivery point by placing such a marker. There are also several legal and regulatory conditions that need to be met. 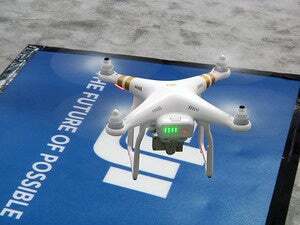 In the U.S., it is illegal for a drone to be autonomously flown out of the line of sight of the operator, although the Federal Aviation Administration is currently rewriting those rules.